Hello Lovelies, I can't believe how fast december has gone by. I have finally finished finals & it is safe to say I have not done anything today, I am even still in my sweats. Nothing wrong with that right!? 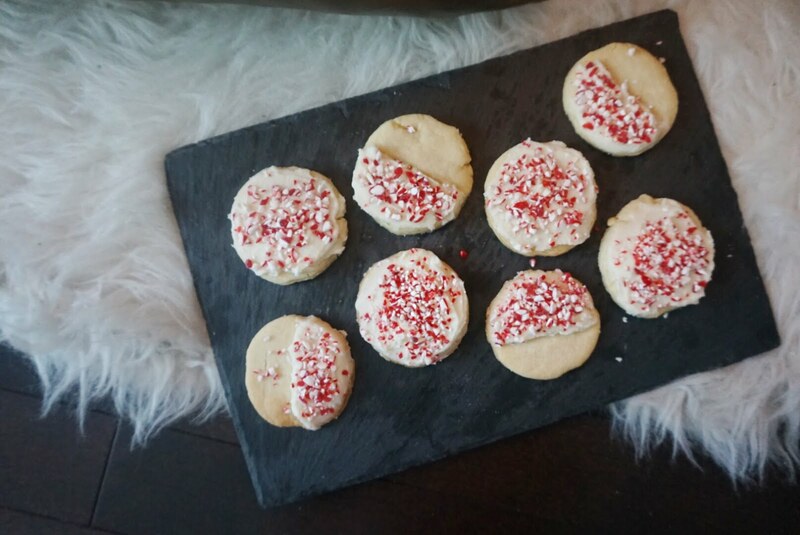 I recently made shortbread cookies to get into the festive spirit! I will link the video here so you all can watch the mess I made. I did freeze half the dough, so since it was the first day of holidays I decide to make the rest adding some extra ingredients! Since I am a student I don't yet have all the baking essentails that my mom would have on hand. So I made use of the items I had at home to create these cookies. To roll out the dough I used an empty wine bottle and It did the trick perfectly. I also used a mason jar lid to cut out the circles. These Candy Cane Shortbread Cookies are super easy & student friendly! 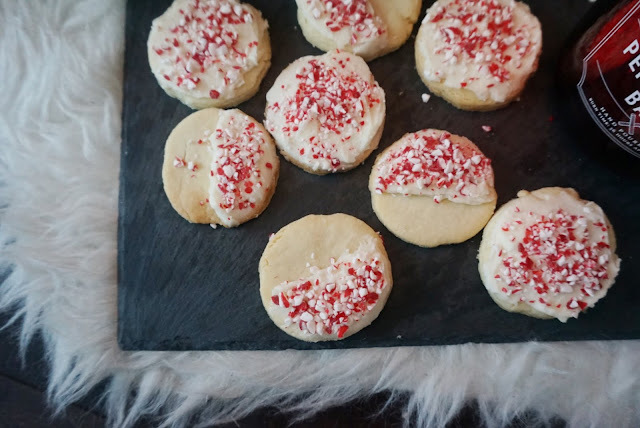 Since these simple short bread cookies are easy to make so I decide to add a light frosting with candy cane to make them even more festive! 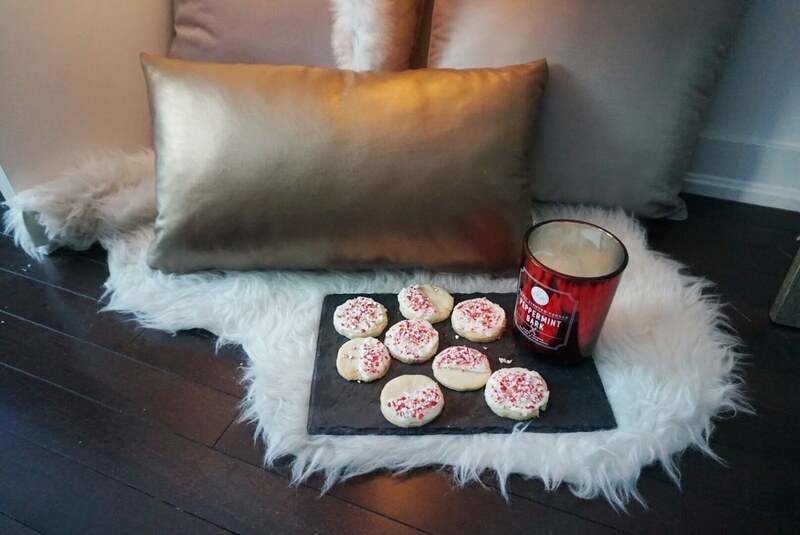 I hope you guys enjoy these super easy and festive cookies. In my video I created balls with christmas M&Ms on them, so be creative! 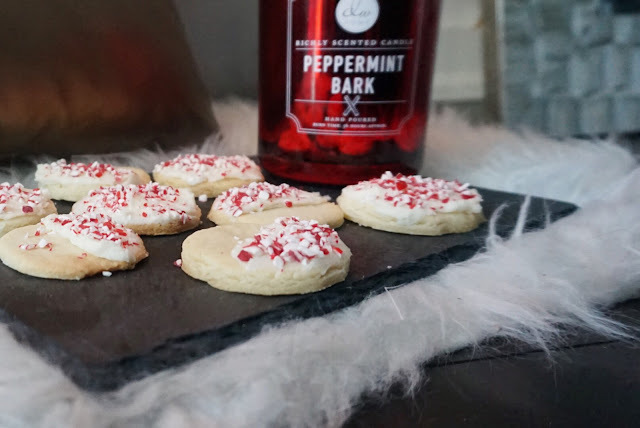 They are perfect for an upcoming holiday cookie exchange! I also have my first christmas tree this year! I could not be happier! 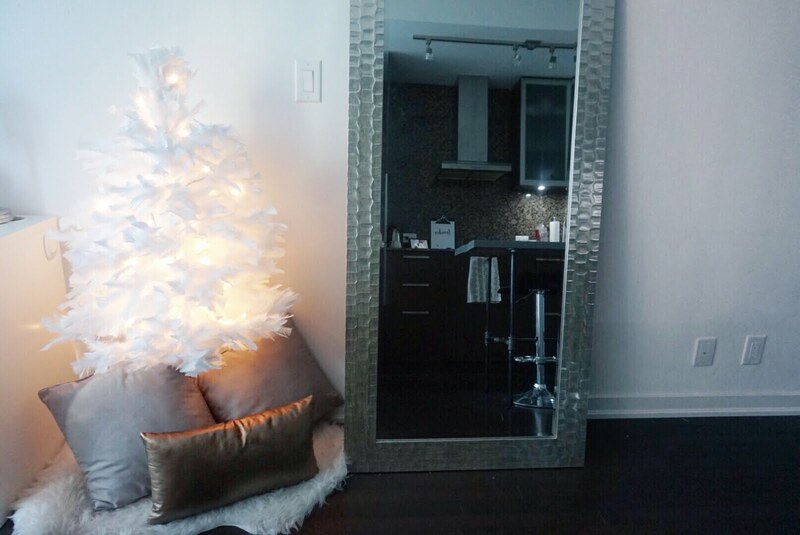 I decided to get a white feather christmas tree since I feel it matched my aesthetic perfectly in my condo. Although I did not have time to get decorations for it this year, I still think it looks super cute with just the added lights.